Hailed for his “exquisite artistry”, “stunning interpretations” and “flawless performances”, New-Zealand-born bassoonist Michael Burns enjoys a multi-faceted career as a performer, teacher and composer. He is Professor of bassoon at the University of North Carolina at Greensboro, and a Yamaha Performing Artist. He has recorded for the Centaur, CAP, Telarc, EMI, Klavier, and Mark labels and has a solo CD Primavera: Music for Bassoon and Piano by Bassoonists, released to critical acclaim in mid-2009 on the Mark Masters label. A new CD Glass Ghosts is scheduled for release in 2018. Burns holds the B.M. degree from the Victoria University of Wellington, New Zealand, the M.M. from the New England Conservatory, and the D.M.A. from the University of Cincinnati College-Conservatory of Music. He is an active performer as a soloist, in chamber groups, and orchestrally with numerous recent performances at International Double Reed Society conventions, recitals and masterclasses throughout North America, Germany, Italy, China and the South Pacific. 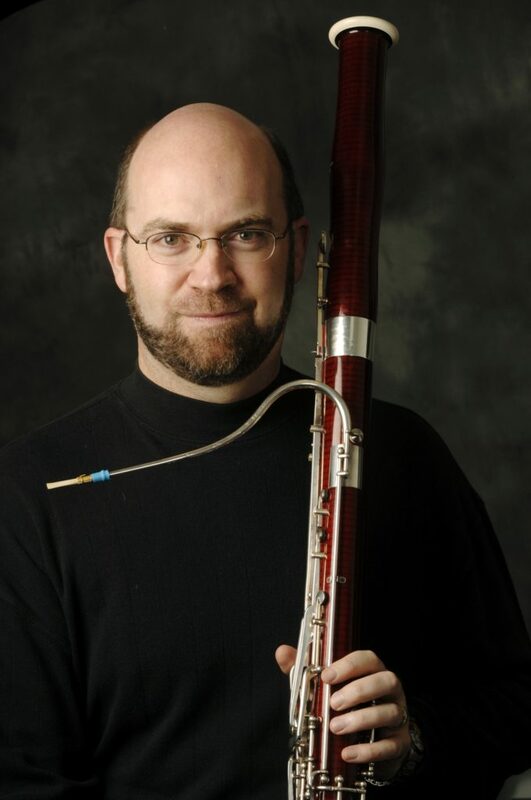 He performs as principal bassoon with the Asheville Symphony and the North Carolina Opera and as bassoonist in the EastWind Ensemble, Gemini Winds, the Blue Mountain Ensemble, Forecast Music and the NC Collective. He also performs regularly with the North Carolina, Greensboro, and Charlotte Symphonies and as a guest with the Ciompi Quartet and Mallarme Chamber Players. In summers, Burns has been associated with several Festivals including the Eastern Music Festival, Music for All/Bands of America Summer Symposium, the Affetti Festival, New England Music Camp and the Bocal Majority and Operation O.B.O.E. Prior to his current positions, Burns performed in numerous professional orchestras including the Cincinnati and New Zealand Symphony Orchestras, the Indianapolis Chamber Orchestra, and he held Principal positions with the Cincinnati Chamber Orchestra and the Midland/Odessa, Richmond and Abilene Symphonies. He has taught at the Cincinnati College-Conservatory, Indiana State University, Midland College, and a variety of summer festivals and schools. Burns is also an active composer with many of his pieces being published by TrevCo Music, Potenza Music and Effiny Music and frequently performed throughout the country as well as internationally. He has published articles and reviews in the Double Reed (the journal of the International Double Reed Society), the TBA Journal (Texas Bandmasters’ Association), the NC Music Educator (journal of the NC Music Educator’s Association for which he served as Woodwind Notes Editor, 1995-2007), Notes (the journal of the Music Library Association) and on the Yamaha Educator Series online. His mentors include William Winstead, Sherman Walt, Leonard Sharrow, Sidney Rosenberg, and Colin Hemmingsen. He is archivist for the International Double Reed Society and was co-host for the IDRS 2003 Conference in Greensboro, NC.